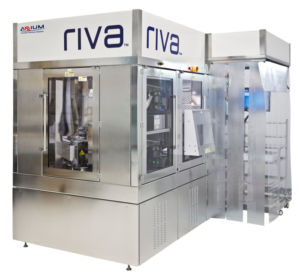 RIVA™ is a fully automated IV compounding system designed to reliably and accurately prepare IV syringes and bags in hospital pharmacies. By automating the preparation process, RIVA addresses the issues of safety for the patient and the pharmacy technician, overall efficiency in the pharmacy and the ongoing challenges of a changing regulatory environment. RIVA has become the pharmacy fulfillment standard when it comes to safety, effectiveness and precision. RIVA allows hospital pharmacies to compound aseptic preparations in a United States Pharmacopeia USP <797> environment, while preparing either chemotherapeutic or non-chemotherapeutic doses and outputting admixtures in either syringes or bags. The automation of these repetitive and complex tasks reduces the incidence of contamination and human error. RIVA directly addresses your unique concerns and challenges, whether your main focus is to improve the safety of IV admixtures, boost the efficiency and effectiveness of your pharmacy operations or simply meet regulatory compliance. The RIVA system enhances the total care of patients and health of your pharmacy team by improving the safety and accuracy of IV admixture compounding. By using state of the art safety features, detailed electronic auditing and seamless integration to current hospital systems, RIVA ensures that hazardous and non-hazardous doses are accurate for pediatric, neonatal and adult patients. 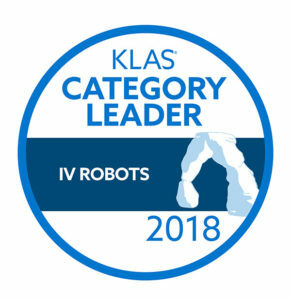 The versatility of RIVA means it can be used effectively under a variety of operational paradigms, from producing patient-specific doses in pediatric or oncology settings, supplying batch CSPs to an entire hospital network from a central distribution center, to manufacturing CSPs for sale under current Good Manufacturing Practice (cGMP) regulations. RIVA is designed to meet USP Chapter <797>, NIOSH, OSHA and other regulatory requirements. In addition, RIVA provides a complete electronic audit trail of all prepared doses. This automated IV compounding system will save your pharmacy money and allow you to redeploy work resources by integrating into your pharmacy, completing orders rapidly, reducing drug and consumable waste and lowering the need for pre-filled admixtures. When integrated into the RIVA workflow, the Codonics Safe Label System (SLS) generates full-color, standardized labels for operating room medications. SLS uses barcode technology to read information from the RIVA syringe and electronically identify it against the pharmacy’s hospital-approved drug database to reduce medication errors and create standardization. ARxIUM is a proud reseller of the Codonics SLS in the United States.